KATHMANDU, July 5: The development committee of parliament has instructed the concerned government authorities to construct the roads of the Kathmandu Valley at the earliest and expand the roads as per the set criteria. The committee on Tuesday instructed the Ministry of Physical Infrastructure and Transport, Department of Roads and Kathmandu Metropolitan City (KMC) to construct the roads within the next three months and maintain their standard. According to the committee, the total length of roads inside the Kathmandu Valley is 1594 kilometers and almost one million vehicles ply the roads on a daily basis. "Roads constitute 7.5 percent of the total land of the Kathmandu Valley, which is very less to maintain the standard of the capital. The proportion of roads is very low if compared with the international standard," the committee said, instructing the concerned authorities to maintain the standard of the road and construct the roads in full pace. The committee has also asked the Nepal Electricity Authority (NEA) to remove the overhead power circuits and lay wires underground through utility tunnel. The committee has also instructed the concerned authorities to complete the expansion of the Mugling-Narayanghat road section by the end of 2017. The committee has also instructed the government authorities to manage the alternative routes for the vehicles in the region and halt the vehicular movement during night time for one and a half months to complete the expansion within the given time. The expansion of Mugling-Narayanghat road section should have been completed by the end of April this year, but only 50 percent of the work has been accomplished till date, the committee said. Members of the committee had visited Mugling-Narayangadh road section last week and monitored the progress on expansion and construction works. The committee has also instructed the Ministry of Physical Infrastructure and Transport to find a long-term solution to prevent the obstruction of road during the rainy season and avoid serious threats from natural disasters. The committee has said that it has taken the decision as per the study of a sub-committee formed to monitor the road construction in different parts of the country. 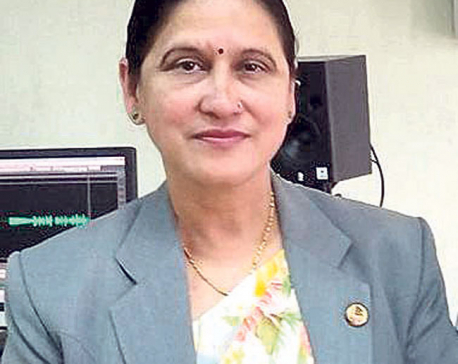 Parliamentary panel head Ranju Jha hid health ministry letter for eight months!